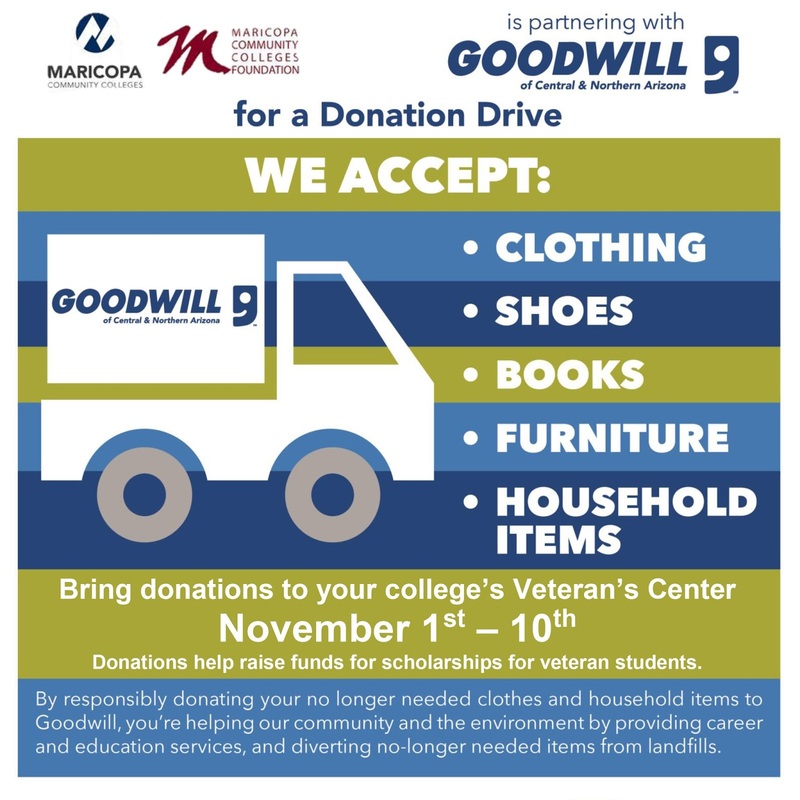 You still have time to help raise funds for veteran scholarships and emergency relief funds by taking part in our Goodwill of Central and Northern Arizona donation drive. Please drop off your donations by tomorrow, Nov. 9 before the Veteran's Day closure. You can drop off donations at Rio Salado's Tempe headquarters, the East Valley Veterans Education Center or any of the Maricopa Community Colleges. Proceeds will be equally distributed among the 10 Maricopa Community Colleges to provide veteran students access to courses the VA may not pay for or assist them financially during hardships – all in an effort to help them graduate and succeed.